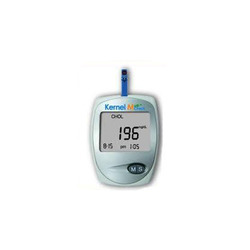 We are a leading Manufacturer of hemoglobin cholesterol glucose checking machine, dialysis machine 4008b fresenius, fresenius dialysis machine 4008s new generation, b barun dialysis machine, refurbished dialysis equipment and fresenius dialysis machine from Chennai, India. 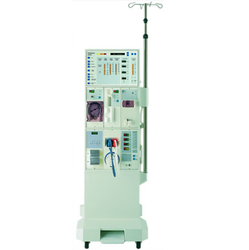 The hemodialysis equipment can be adapted by the modular combination of extensive options to special therapy modalities. 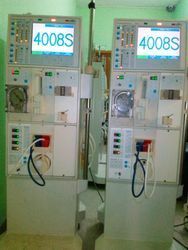 The automated acquisition, monitoring and control of specific patient and machine parameters provide the operator with continuous and precise assessment of the current treatment situation. 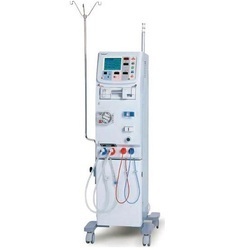 Keeping in mind the precise demands of clients, we offer a wide range of Fresenius Dialysis Machine 4008S. These are extensively recommended by various numbers of clients owing to its accurate dimensions, durability and longer service life. 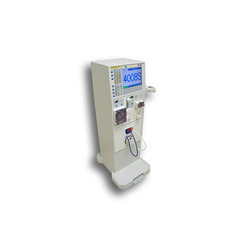 Our Machines are compact sized and extensively acclaimed for durability and uninterrupted performance. These can be availed in various technical specifications. 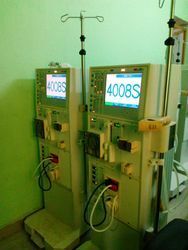 We are leaders in B Barun Dialysis machine. Below are the mentioned technical specification of the product. 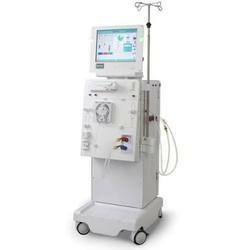 We hold expertise in offering a wide assortment of Nipro Surdial Dialysis Machine. These are one of the most favored selections of clients owing to its application specific construction, robust design and consistent performance. Our machines are precisely engineered using best quality components which are sourced from reliable vendors. Besides, these are extensively demanded for their high functional efficiency.